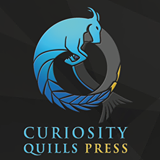 This entry was posted in Uncategorized and tagged artist, author, book, curiosity quills press, debut, fiction, mcknight, novel, San Francisco, writing, young adult. Bookmark the permalink. ← Let There Be FREE Cake (and music and fun and author readings)!